Yesterday I subbed at one of the local elementary schools. I like to take every opportunity to be around students and community leaders so I took the assignment...even though it was for kindergarden. If you're a kindergarden teacher...let me say that you're freaking crazy and must be out of your mind you are a brave individual and I respect your patience. I took them out on the playground and couldn't help but think about how life was so much more simpler back then. Back when your biggest worry was getting to one of the swings before they were full. Back when your hardest decision was chocolate or white milk. Back when you got a 3 or so month break every summer. 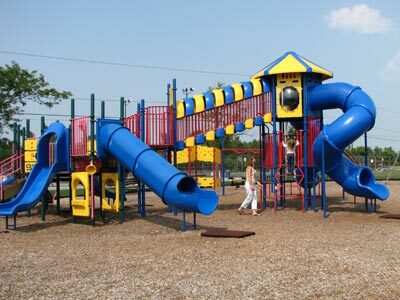 I enjoyed watching the kids play on the playground. They still have their since of imagination and the ability to pretend. They can convert a few pieces of playground equipment and an open field into a wild safari hunt or while playing catch imagine scoring the game winning touchdown in the Super Bowl. When did we lose that? Do we have to? I want to go back to a time where life was simpler. Where at the end of the day when my family came together I had security. There wasn't bills to worry about. There wasn't calendars to watch fill up. There wasn't board meetings to attend. There wasn't a cell phone constantly interupting dinner.